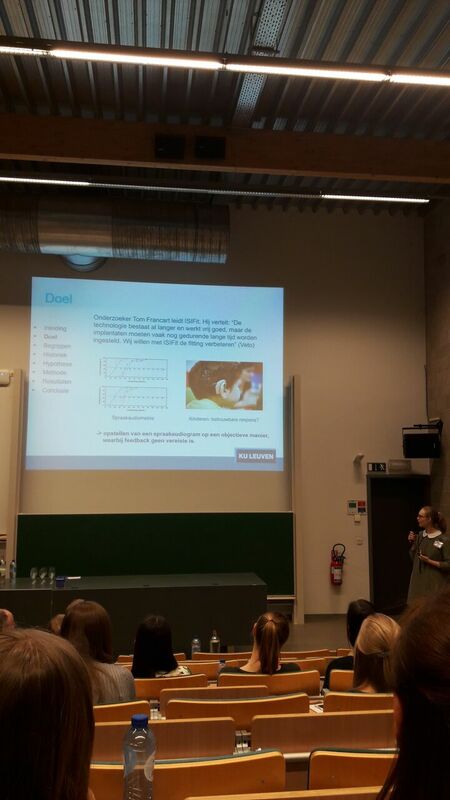 Last Thursday, April 20, Maud Lobel was the proud winner of the "Research Student Abstract Competition". Under the supervision of her promotors Lien Decruy and Tom Francart, Maud developed her work with the title "Effect van Listening effort op een objectieve maat voor spraakverstaan". Congratulations to her and her supervisors! Fantastic job!